Darren is a Partner within our Litigation & Dispute Resolution Team. He is an expert litigator specialising in contentious probate, property disputes and agricultural disputes. Darren joined Leathes Prior in 1994, having originally trained with the firm to qualify as a Chartered Legal Executive in 2007. With a team to support him, Darren can deal with any property-related dispute (whether that be commercial, agricultural or residential) including dilapidations, lease renewals, rent arrears, forfeiture, rights of way, right to light, boundary disputes, easements, restrictive covenants, assured shorthold tenancies, assured tenancies, adverse possession, trespass, Rent Act claims, possession proceedings and landlord and tenant disputes. Darren is extremely experienced in dealing with claims before the First-Tier Tribunal (Property Chamber - Residential Property), First-Tier Tribunal (Property Chamber - Agricultural Land and Drainage), First-Tier Tribunal (Property Chamber - Land Registration First-Tier Tribunal). Another of Darren’s specialist areas of expertise is contentious probate and will disputes. His work includes advising on areas such as lack of testamentary capacity claims, undue influence claims, lack of knowledge and approval, claims against executors, Inheritance claims and challenges to Wills. Darren also provides valuable support to the firms Regulatory Team in pursuing a whole host of civil claims against regulatory bodies including The Health and Safety Executive and The Environmental Agency, and also deals with property or probate related professional negligence disputes. 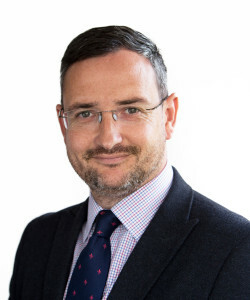 He is a member of the Property Litigation Association, the Agricultural Law Association and the Royal Norfolk Agricultural Association and is also a member of the firm’s Management Committee. Has a broad practice covering contentious probates, agricultural disputes and real estate litigation. He is an expert in litigation. He is very good at bringing in the right experts and specialists for different jobs, he displays great customer care and is very tenacious. We know no way of thanking you enough for the wonderful success you have acheived for us. You said just over a year ago that you would relieve us of our burden and you have done just that. Please accept our sincere congratulations and our grateful thanks. I’d dealt with Leathes Prior before on business issues, but had no idea that they also had specialists in equine issues. Darren Bowen and his team were very quickly on board, reassuring us of our rights and position. Together we worked out a plan which was implemented, all within two days. I’m happy to say we received a full refund from the seller and Leathes Prior's costs were very fair. Darren Bowen has the admiration of clients for providing sound advice that helped mitigate risk and achieve desired results. His broad practice covers all manner of landlord and tenant issues, right of way and agricultural disputes. Handles property and agricultural disputes and is also well versed in acting on probate matters. He has good judgement and is able to communicate well with clients. He is also able to see the overall picture and manage the litigation. Litigator Darren Bowen excels in defending corporates and individuals against HSE and Food Standards Agency prosecutions. Your guidance and support throughout was very much appreciated. If needed, I would not hesitate to contact you for future professional advice. Delivers the best and has strong agricultural estates experience. Very professional and pleasant. Doesn’t miss any points and gives excellent advice. Very professional and very easy to communicate with, but can also explain issues in a way which a lay person can easily understand. Attention to detail with a confident and pragmatic approach. Responses are prompt, advice is sound and the team is honest and straightforward. Structured and prompt, with a growing reputation. Litigator Darren Bowen is incisive, clear-thinking and a strong advocate for his clients, but always open to practical ideas for settlement. In Darren Bowen the firm has a highly skilled property litigator who is respected by surveyors, land agents, landed estates and counsel, and whose expertise covers agricultural property disputes, particularly those involving probate matters. Very knowledgeable of the subject, understands the issues and works to try and resolve problems. Incisive, clear-thinking and a strong advocate for his clients. Always open to practical ideas for settlement.